The above product categories include technologies such as convection, non-convection, and steam products, but specifically exclude microwave technology. 1.2 This Standard does not cover any microwave oven product, or any product that includes a microwave oven in combination with any of the products listed in Clause 1. 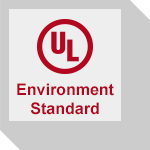 This standard does not cover portable appliances that are designed for an electrical supply of 120 volts. The revisions dated April 30, 2105 were issued to add a note to Clause 8.4.2 to provide guidanceand clarification to the standard's text. Revision - These documents only contain the revised pages. The Standard document includes all available Revisions.